It is an observation which must be obvious to all my readers, that few who addict themselves to robbing and stealing ever continue long in the practice of those crimes before they are overtaken by Justice, not seldom as soon as they set out. This man had been bred a plasterer, but seems to have fallen very early into ill courses and felonious methods of getting money, in which horrid practice he spent his years, till taking up with an old woman who sold brandy upon Finchley Common, she sometimes persuaded him, of late years, to work at his trade. 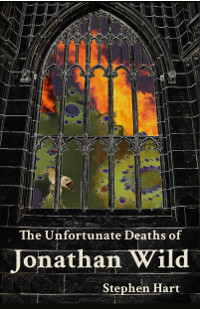 There has been great suspicions that he murdered the old husband to this woman, who was found dead in a barn or outhouse not far from Hornsey; but Wigley, though he confessed an unlawful correspondence with the woman, yet constantly averred his innocency of that fact, and always asserted that though the old man's death was sudden, yet it was natural. He used to account for it by saying that the deceased was a great brandy-drinker, by which he had worn out his constitution, and that being one evening benighted in his return home from London, he crawled into that barn where he was found dead next morning, and was currently reported to have been murdered. Though this malefactor had committed a multitude of robberies, yet he generally chose to go on such expeditions alone, having always great aversion for those confederacies in villainy which we call gangs, in which he always affirmed there was little safety, notwithstanding any oaths, by which they might bind themselves to secrecy. For notwithstanding some instances of their neglecting rewards when they were to be obtained by betraying their companions, yet when life came to be touched, they hardly ever failed of betraying all they knew. Yet he once receded from the resolution he had made of never robbing in company, and went out one night with two others of the same occupation towards Islington, there they met with one Symbol Conyers, whom they robbed of a watch, a pair of silver spurs, and four shillings in money, at the same time treating him very ill, and terrifying him with their pistols. For this fact, soon after it was done, Wigley was apprehended, and convicted at the ensuing sessions. When all hopes of life were lost, he seemed disposed to suffer with cheerfulness and resignation that death to which the Law had doomed him. He said, in the midst of his afflictions it was some comfort to him that he had no children who might be exposed by his death to the wide world, not only in a helpless and desolate condition, but also liable to the reflections incident from his crimes. He also observed that the immediate hand of Providence seemed to dissipate whatever wicked persons got by rapine and plunder, so as not only to prevent their acquiring a subsistence which might set them above the necessity of continuing in such courses, but that they even wanted bread to support them, when overtaken by Justice. He was near forty years of age at the time of his death, which happened on the same day as the malefactors last mentioned.